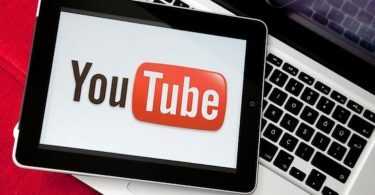 YouTube is the most popular website for sharing videos all over the world for people to upload and download the videos. However, this website is not supporting direct download. 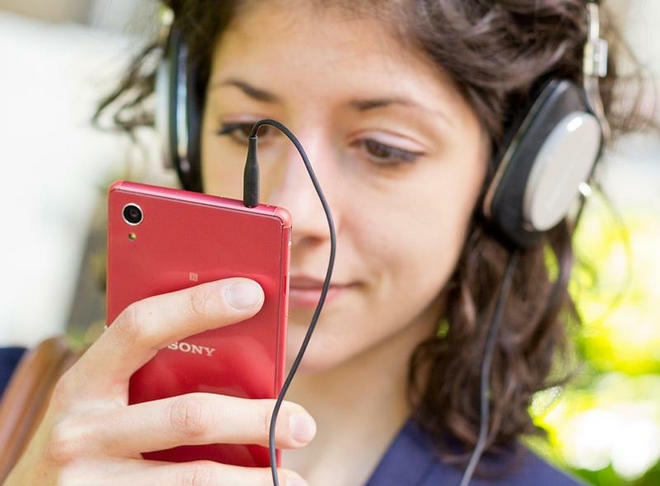 If you want to convert YouTube videos to mp3 format, there are many ways to convert Youtube video to MP3 format, but most of converters does not work for long videos. So, if you like to convert more than 1 hours video into an MP3 format, we are going to share some of the best ways to convert long Youtube videos to MP3. There are lots of free online YouTube to MP3 converter that will allow you to download YouTube to MP3 with a single click by means of pasting the URL into the long video converter website. Here are some of the most recommended long YouTube video converter that you can make use online. #1 MP3FY-It offers no video size limit for conversions. You will be able to download any videos that you want. It can convert a staggering 10 hours of YouTube video in only a matter of minute. If you are adventurous enough, try longer YouTube videos. #2 FLVTO-FLVTO is another great tool for converting YouTube to MP3 online with any difficulty. As different from the other free online long video converter from YouTube to MP3, the webpage of FLVTO is very attractive. Most commonly, the quality of the MP3 audio files that you will get is high and the downloading speed has been relatively fast. The same as the other utilities, you only have to enter the YouTube video link and click the “CONVERT” in order to extract the MP3 files from the online YouTube videos that you want to download. #3 Savefrom.net-It presents the fastest ways of downloading videos from YouTube and provide the best quality of videos saved from YouTube. And then find the file in your Downloads folder, play the MP3 and enjoy! #1 Wondershare Video Converter Ultimate-Much more than a long video converter, Wondershare Video Converter Ultimate (Windows/Mac) converts, downloads, burns, enhances, captures, organizes, and watches in more than a hundred formats. #2 Any Video Converter (Windows/Mac)-It is among the highly recommended YouTube converter for Windows and Mac. It allows you to freely download any YouTube videos, including HD YouTube videos and VEVO videos in just one click. #3 Free YouTube to MP3 Converter (Windows/Mac)-The Free YouTube to MP3 Converter is probably the easier online long video converter from YouTube to MP3. One great thing is that this web service is platform independent so you will be able to use it on a Mac, PC, or even on iPhone. With the best benefits of using Wondershare Video converter ultimate, you are provided with the best playing experience for your MP3. 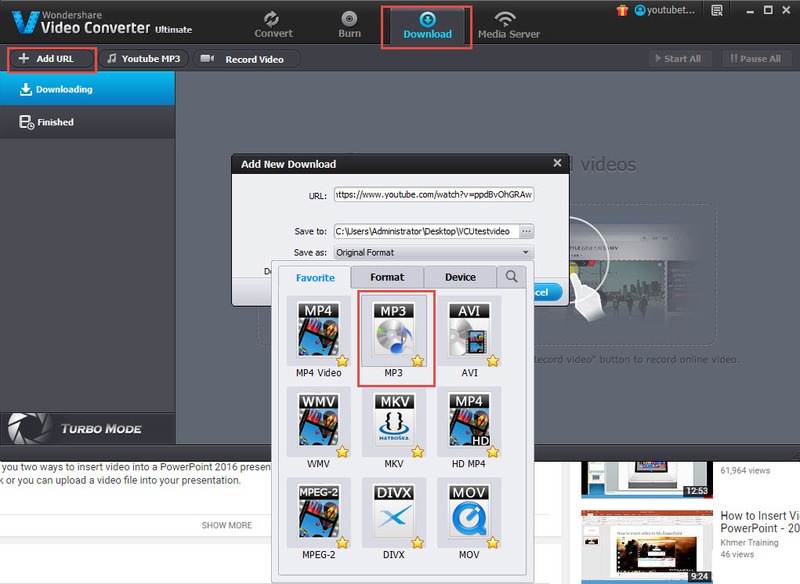 The first step is to launch the Wondershare Video Converter Ultimate with double click the icon. After you run the program, you will have to open the web browser in order to locate the video that you prefer on YouTube. You will also be able to visit the websites through the built-in web browsers of Windows version. Select the “Download” tap and choose “Add URL” from the top. As soon as you have clicked on the “Add URL” button, a pop up window appears which asks a number of details like output format, destination folder etc. Once you have filled in all the details, click on “Ok” button to proceed to download and convert Youtube video to MP3.